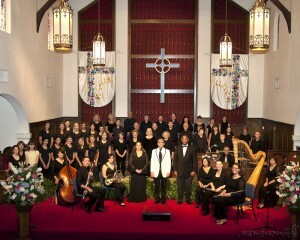 The adult Chancel Choir sings in worship, and provides special music for Christmas and Easter services. All adults and Senior High youth are welcome to sing. The choir practices Sunday after worship at 11:45 a.m. to 12:45 p.m. in the choir room behind the Chapel. The choir takes the summer off. For more information, please contact Carol Bookhardt, Church Secretary, carolparklake@gmail.com. In addition to our wonderful organist and pianist, Will Benton, other musicians periodically accompany the choir in worship. If you play an instrument and wish to participate in worship, please contact Carol Bookhardt, Church Secretary, carolparklake@gmail.com. The Holy Tollers Bell Choir provides music periodically during worship, and provides special music for Christmas and Easter services. All adults and youth are welcome to ring. 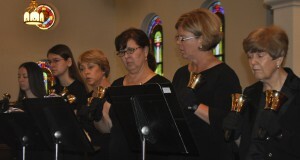 The bell choir practices each Wednesday from 5:00 – 6:00 p.m. in the Sanctuary. The choir takes the summer off. For more information, please contact Carol Bookhardt, Church Secretary, carolparklake@gmail.com.